The workflow is based around a specific event. Also, instead of determining the reflectivity from the seismic, we will scale the reflectivity PDF model to match the seismic. Some kind of inversion is the best way to calculate reflectivity from seismic. Start by picking as much of the event as possible. View the horizon property, "Peak Secant Amplitude" [PSA] to extract amplitudes from the stacks. 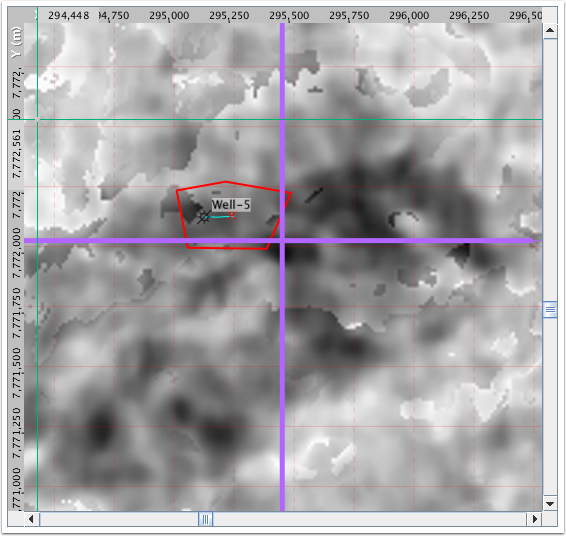 This property correlates better with reflectivity than "vanilla" peak amplitude. View the result in the map view, right click and "Save horizon as a custom property" and add to the picked event. Do this for near and far stacks. Create a probe that encompasses the area of interest. Choose the reflectivity (dupdf) model (must be loaded in the QI tab first), and select the near vs far attribute. Select the appropriate depth for the event from the model depths. The next step is finding the correct scaling. This is a visual calibration approach, rather than an analytical approach. The robustness of this method depends strongly on the well control. On the map, draw a polygon around one of the wells that intersects the event. Name it appropriately. In this case, it is a top reservoir gas event. In the Polygons tab, click the polygon and view the points on the crossplot. You now have a single calibration area for a known lithology interface at the well. Repeat this a few times at other wells, ideally highlighting different lithologies. 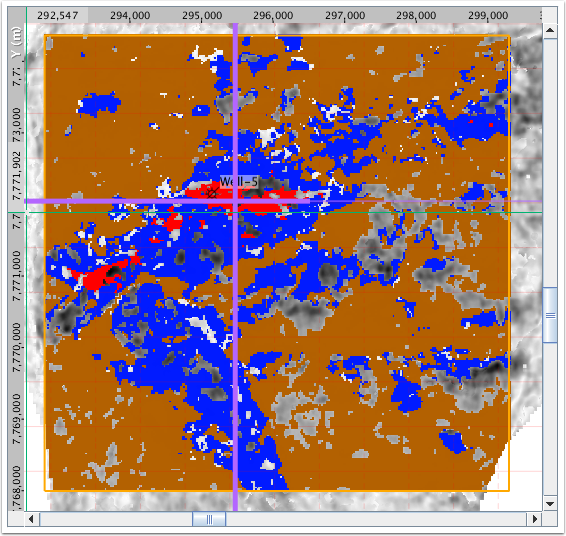 In the Lithofluid model tab, enable the corresponding PDF for the lithology at the well. Adjust the Scale values until the PDF ellipse lands on the appropriate crossplot points. 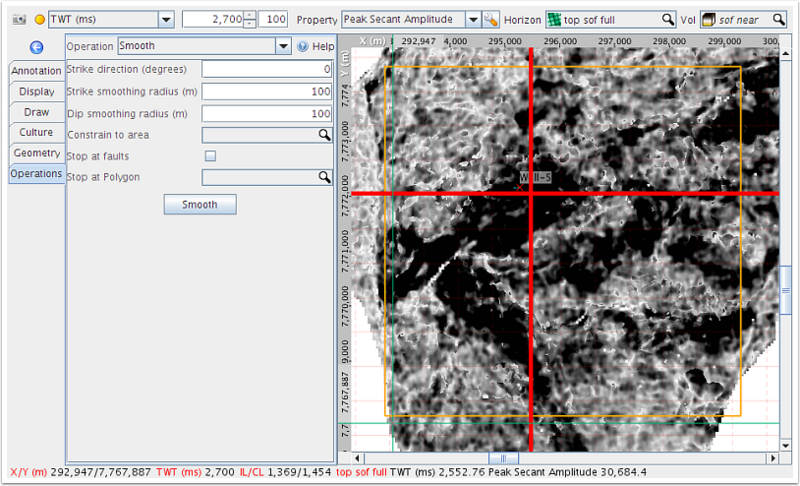 Enable additional lithologies and confirm the scaling makes sense. Enable highlighting to review how the scaled ellipses correspond to locations in the map. Prev: How do I create a "chair" display in the 3D view using two different volumes? Next: How can I created a layered result from many different input volumes merged at horizons?